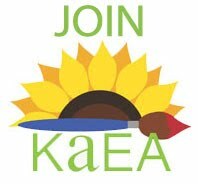 The KAEA Fall Professional Development Conference is approaching! Keep in mind that all workshops are intensive hands-on workshops and you will be just choosing ONE workshop for the conference this year. All workshops have size limits and will close when full. You will need to sign up for lodging and/or meals with your registration! Student Conference Grants are still Available: Deadline is Sept. 19th! Suitcase Sale and Silent Auction- Have you reserved your table to sell your wares at the "Suitcase Sale"? Don't forget to bring something to contribute for the "Silent & Live Auctions"! AND, bring money to bid!! This is how we fund the student conference grants! The Members Digital Art Exhibit: Make sure to send in your images for the Member's Exhibit! Show off your talents! Deadline is September 26th!! College Credit is Available: Take advantage of this great opportunity to get an easy and reasonable graduate credit! See the website for details. Pre-Conference Workshop: Don't miss out on this fun opportunity to kick off the conference! The pre-conference workshop is over 1/2 full! 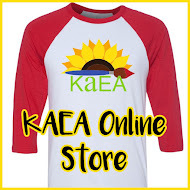 T-Shirt Sales: The deadline for ordering Conference T-Shirts is September 21st!